We have a strong focus on sourcing local ingredients from the abundant lands of Papua New Guinea, from fresh seafood, chicken, herbs and vegetables. 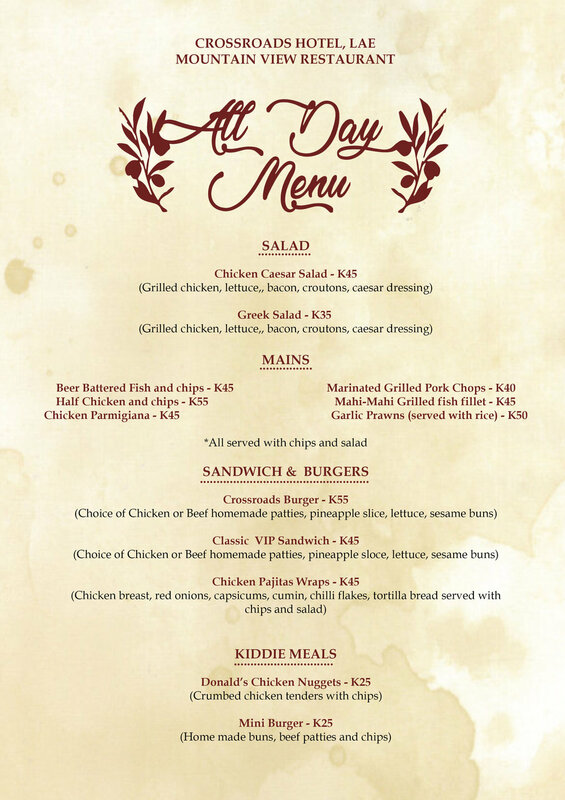 Our Mountain View Restaurant serves up daily specials showcasing popular local dishes. Our Mountain View Restaurant serves up favourite dishes from around the world. 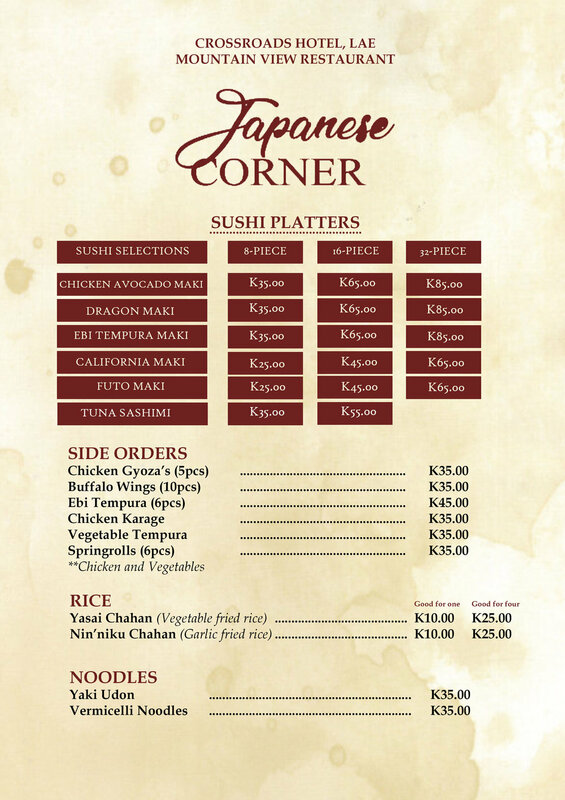 From pizza, pasta, sushi, teppanyaki, nachos, Indian & Thai curries, we have something for everyone. 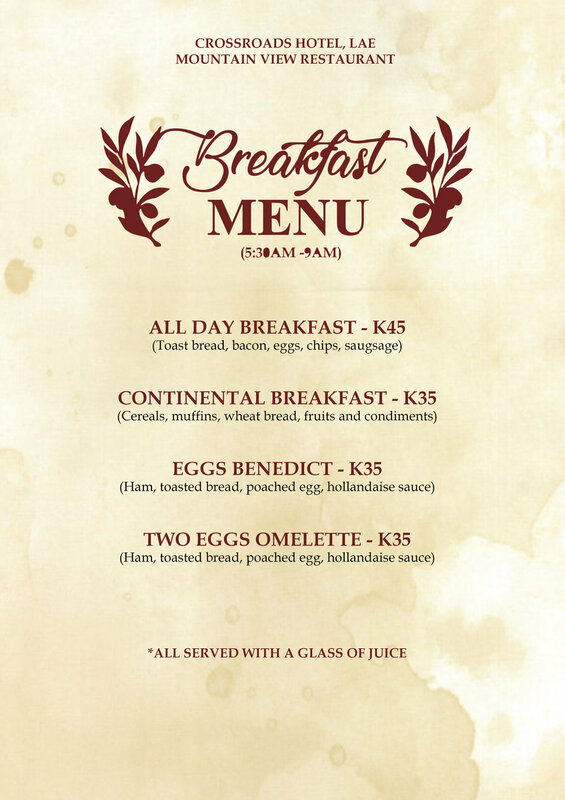 Open for breakfast, lunch & dinner, with poolside service also available.